BARI - The head of the Community of Sant’Egidio, Marco Impagliazzo, has implored Christians to help find solutions for the dramatic problems and persecution, which are affecting their counterparts in the Middle East. During the opening session of the summit to discuss “Christians in the Middle East: What next?”, organised in conjunction with the diocese of Bari, Impagliazzo highlighted the fact that much could be done to work together for peace in the area. “Today's meeting is meant to be a meeting of a force of good in front of so many evil forces that have created situations of pain: we want to combine strength, intelligence and faith in order to find a future for the Christian communities in the Middle East." 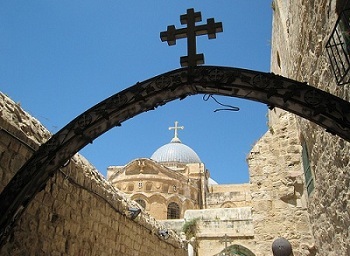 Christians in the region have been increasingly isolated in recent times, with widespread persecution in countries such as Syria and Iraq. One of the speakers at the summit, Nunzio Galatino, believes that Christians in these areas but be supported and never forgotten.